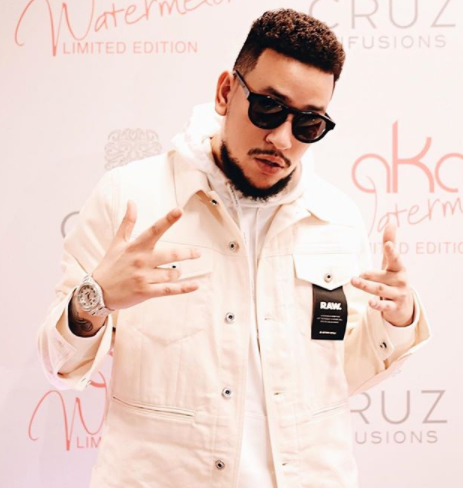 Rapper, AKA is about to release what is allegedly his last album, Touch My Blood and he is looking for fresh talent to help with the packaging. AKA, also known as the Supa Mega, took to the Twitter streets to ask his Megacy for help in designing the artwork/cover art for the album. “Next week I will be uploading a link where designers/artists can download the open file from the shoot I'm doing for my artwork. I will also include a brief where I will include references for what I'm looking for,” he instructed. Graphic design hopeful will have to go head-to-head with AKA’s personal graphics design team at the Beam Group and see if they can do a better job. “If you can beat them ... you can join them. One year internship at Beam Group. What you think about that?” he asked. “sharpen your pencils, refill your pens, fire up your computers AND your imaginations for the #TouchMyBloodChallenge,” AKA said. The challenge is on! All the best to everyone entering, we can’t wait to see what you come up with.